The Simcronomicon is a powerful spell book. Any hapless soul that lay their eyes on its tattered face and its arcane pages are cursed by its ritual. But a curse is a blessing in disguise. The Simcronomicon, though its origins is unknown, grants any wish to its victim. As its pages are bound by an evil and arcane essence, failure to complete any ritual would guarantee damnation. *requires Sims 4 and a sadistic curiosity towards virtual people. The decor was arranged to relax clients and patients. The walls were painted dark red, and the furniture were all made in leather. The windows were wide open, inviting the fresh air that hailed from the mountains. Medical books and journals were arranged in alphabetic order at one bookcase, while another was filled with children books. Sisi was lying down adjacent to Dr. Wright. She stared at the ceiling, concentrating at the blank, white space above her. She then clenched her teeth and then squeezed her eyes, staving off the pain that assaulted her mind. "Have you been taking your medications?" asked Dr. Wright. "I have, and they get me to sleep. But..." said Sisi. Dr. Wright looked from his writing pad, waiting for Sisi to continue. "But I can't take them anymore." "When I get to sleep, I return to that house." Sisi nodded. "They try to pull me in, get me stuck in that house. I fight them off. Ghosts. You know they can be punched or kicked just like any other? Maybe in my dreams. I'm not sure if they're dreams anymore. When I get free, I run out of that house only to come back to it." "Then how do you escape?" Dr. Wright wrote on his pad. The notes were separation anxiety, guilt, abandonment issues. "I drown myself until I come back to reality. But the crazy thing is, I cough out water." "And you're sure it's not spittle or phlegm." She shook her head and turned to Dr. Wright. Her eyes had the hint of defeat and of sleepless nights. After their session, Dr. Wright prescribed the same medication but with a higher dosage. Sisi's narcolepsy had become a problem to her career. At the behest of her agent, she was scheduled to meet with her doctor every week to find a cure or at least a reprieve from her malaise. 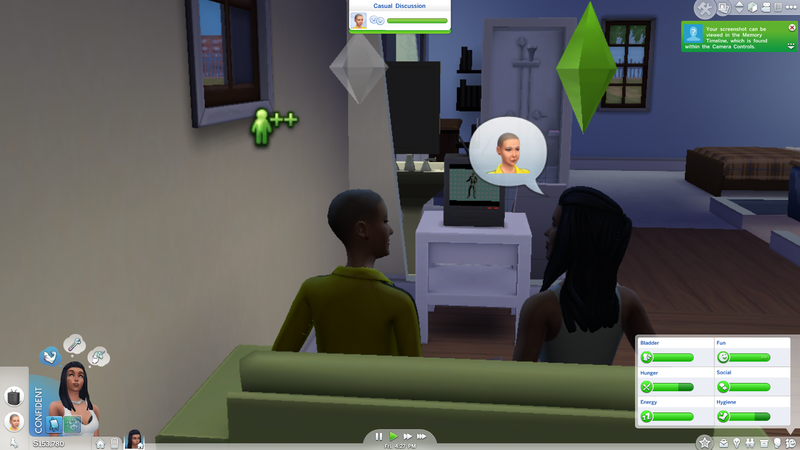 When Sisi stepped out of the doctor's office, the sims in the waiting room recognized her. Even the affluent of Bridgeport asked for her autograph or a selfie. Sisi always agreed to it, and she forced her smiles. Before she stepped out in public, Sisi wore her sunglasses. She checked herself on the mirror and fixed her hair, making sure she looked good for the paparazzi. At the edges of the mirror, Sisi saw them staring at her, peeking from the edges—the ghosts she had left behind. Sisi rocked back and forth with the screaming book close to her chest. "Where are you? I can't see anything!" said Isabel. Sisi told her that everything was going to be alright, that she will take care of her no matter what. She stood up from the floor and walked outside into the cool midnight. "I'm scared," said Isabel, her voice muffled through the book. Sisi ran faster. She planned to leave everything behind and start anew in Bridgeport. Growing old and turning gray didn't scare her anymore. Not after this. She stretched her arm out and hailed for a cab. When she got in, she told the driver to head for the airport. "No luggage?" asked the cabbie. Sisi shook her head. 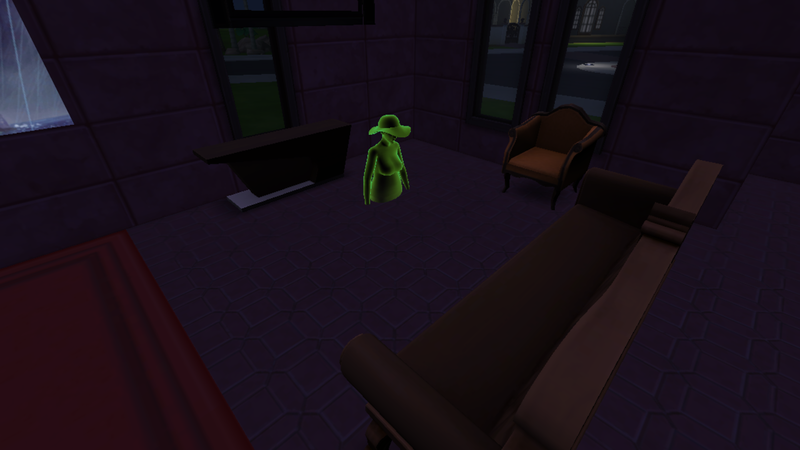 When the cab jumped forward, Sisi appeared in the middle of her mansion. Believing she was hallucinating, Sisi closed her eyes and forced herself awake. "Mom? What's happening?" said Isabel. When Sisi opened her eyes, she was still in the mansion. The indoor lights were out, but the moon glowered outside. 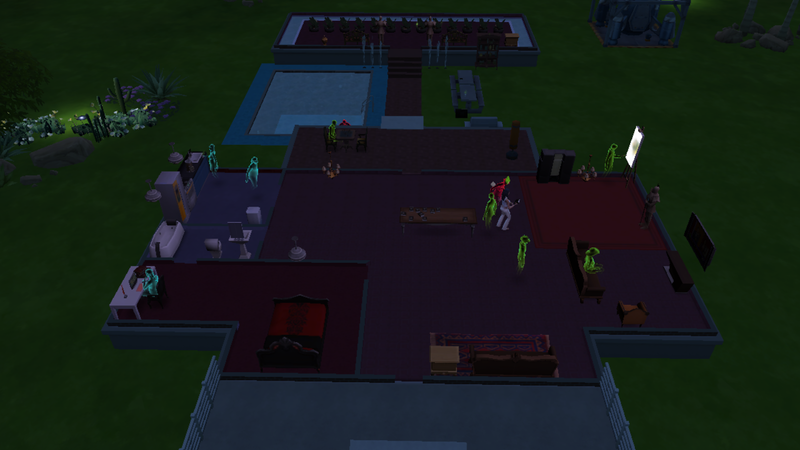 Sisi exited through the front door and ran from the mansion. After thirteen steps, Sisi returned to the living room. She tried again, this time through the back door. She ran past the greenhouse, and after thirteen steps, she was back in the mansion. Sisi fell to her knees. "Complete the ritual," said The Third, speaking through Sisi's mouth, "complete the ritual, and you can be free." Her tears pelted the leather cover of Isabel's tome. Sisi begged The Third to take her soul in place of her daughter's. Grant Isabel immortality rather than herself. "You think I want your tainted soul? Complete the ritual!" Sisi sobbed at the inhuman tone of her voice. She stood up shaking and ambled towards the greenhouse. She knelt down next to an empty pot and planted Isabel's seed thus silencing her. Powerless against the force inside, Sisi took all thirteen books from the bookcase and brought them all inside her mansion. The dining table was turned into a makeshift altar. While holding their book, she summoned the souls by invoking their name. At the last book, Sisi struggled to utter her daughter's name. The souls appeared, their essence brightening the unlit room. They roamed her estate, wondering why they were summoned. Although Sisi was at the thick of it all, not one soul saw her—it was as if she was invisible. Isabel and Cayden were finally reunited, but Isabel was still shaken after her recent death. "Where are we?" asked Isabel, reaching out to Cayden and embracing him. "It's your mother. Something to do with your mother,"
The ghosts screamed and ducked at something Sisi couldn't see. They watched the ceiling, and some huddled in the middle of the room. Something was trying to grab them. One of the ghosts flew backwards and was sucked into the walls. Another was picked from the ceiling and was gone. Cayden burst into bright red and dissipated in the air. Isabel sunk into the floor. She locked eyes with Sisi, and before she could call and reach out to her mother, she was already consumed by the house. Stillness came. Sisi sat on the floor, pulled her knees to her chest and cried. She tried to purge all her guilt and all her regrets, but there was no end to her tears. Morning came. No one spoke to her—not The Third, not Isis. Routine resumed, and the birds' song and the sidewalk bustle broke the silence. She was alone. There was clarity, an ugly clarity: she finally got what she wanted. She chose this path; the burden was hers. Sisi stood from the floor and stepped out of her mansion. She sauntered away, took fourteen steps and never returned. Sisi saw Isabel approach from the road, and she braced herself for the voices to ruin her day. Both, however, were silent. Isabel stopped a few feets from the bench and stared at her mother. Sisi asked her to sit down. "What do you want from me?" asked Isabel, crossing her arms. Sisi asked for forgiveness and an opportunity to reconnect. "Isn't it a little too late?" Sisi shook her head. It's never too late. Isabel sighed and sat down. Sisi watched Isabel, waiting, anticipating on what she would say. She was tempted to look at the book, to read what's in her mind. But she hesitated. "It's funny you chose this place," said Isabel, "I'd pester dad to take me here after school. Of course I'll do my homework. Sometimes I'd say I did, but not really. He would always take me here though. He'd play the sea monster, and me the pirate." She then turned to the small pond next to them, "We were a team. I'd catch fish and he would cook them. Sometimes I'd get cowplant seed. We always tossed those out." Sisi nodded, pretending she had heard this for the first time. Isabel sighed and said, "So, what do you want to talk about?" Isabel warmed up to Sisi after that day at the park. Sisi would visit her home, and when Isabel showed up at her mansion, Sisi would always take her to the park. When Isabel asked why they couldn't hang out in her mansion, Sisi made an excuse that the inside was in disrepair and in need of sprucing up. She would then segue to another topic, a feat that only a charismatic could do flawlessly. Stories were exchanged; memories shared. Sisi spoke about her escapades, where some facts were changed for the sake of decency. She also bragged about her mastery in the arts and the achievements she had reaped. When the daily bonding happened at Isabel's home, Sisi would overwhelm her daughter's senses with a home-cooked meal. "Tell me your secret, what keeps you young-looking?" asked Isabel over dinner. Sisi choked and coughed out a morsel. "I hope it's not blood from virgins," Isabel said, giggling at her own joke. "Well, whatever it is, I hope it's genetic and that I get it from you." Months passed. Sisi had almost forgotten about the ritual of the thirteen, but the toll of time reminded her about it. Isabel's hair was turning gray. "Do you like it?" asked Isabel. Sisi nodded hesitantly. The lines on her face deepened, and the skin on her arms stiffened. Sisi felt a hollowness as she watched her daughter wither away. Then there was the blotch of darkness that waited at Isabel's sidewalk. Sisi paid no mind to it, believing her eyesight was deteriorating. But during one of her visits, Sisi walked towards the lingering darkness. As she drew near it, it shrunk until it was gone. When Sisi walked away, the darkness slowly returned to its original size. From the window, Isabel sighed as she watched her mother struggle with her insanity. Yet Isabel opened the door before Sisi could knock. She greeted her mother with a hug. The week after, Sisi called if Isabel was available, but she didn't answer. Sisi took out Isabel's book and flipped it to the latest entries. She screamed at what she had read and rushed out the door to hail for a cab. When she arrived at Isabel's home, she flew to the front door, fumbled for her keys and pushed the door open. On the floor lay Isabel, her essence emanating from her lifeless body. SHOULDN'T YOU BE HAPPY? WASN'T THIS YOUR WISH?, said a voice. It revealed itself to Sisi. It was the darkness that had waited outside. It slowly formed into the entity called Death. Sisi fell to the floor. She held her daughters hand and could still feel the warmth that remained inside. Then the voices returned inside her head. Isis wanted to plead for Isabel's life. But The Third wanted to insult Death, to tell Death that the daughter's soul belonged to The Third. And the droning noise returned, the incessant garble that tortured her mind. BE CAREFUL WHAT YOU WISH FOR. 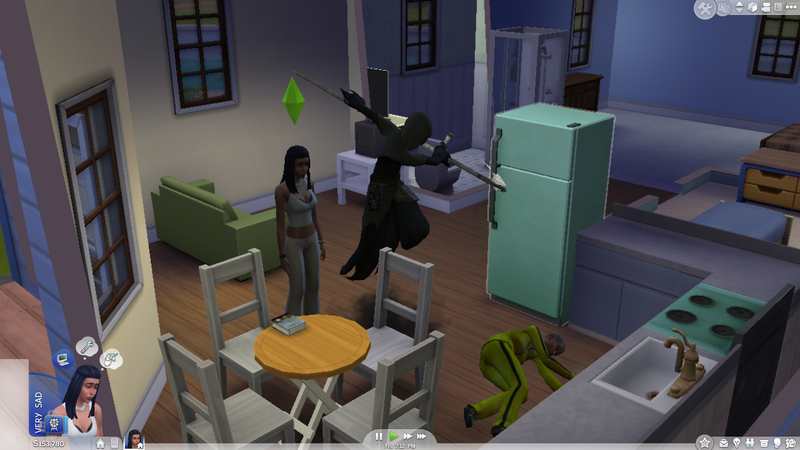 And Death summoned his scythe and released Isabel from her body. The book cried and screamed inside Sisi's purse. She took it out. It trembled and shook in her hands. MORTAL FOOLS, said Death, vanishing into the netherworld. September Short Story Challenge: She's late!